For many homeowners, the potential of their home—in addition to its location or price—is one of the reasons they purchased it. Whether it’s the dream to expand the kitchen or build a covered patio, home-buyers rarely look at a home and see it as perfect or complete. There’s just always potential for something more. But what about the potential for their homes to save them money in the long run? Solar panels can be a great addition to your current (or future) home. What is a Sun Number Score? Why is the Sun Number Score Important? What if my Home is not Listed on Zillow? How much direct sunlight the roof receives—measuring the amount of solar radiation for every square meter of your roof. Whether or not there are any obstructions such as tall trees or other buildings prohibiting sunlight from reaching the solar panels. Average weather conditions: Does your region get a lot of sunshine, mostly overcast days, or a mixture of the two? Zillow listing the Sun Number score alongside other vital home-buying information is important because it shows a serious interest in solar technology. Homeowners now view solar capabilities as important of a factor in the decision-making process as the lot size and year the home was built. Solar energy has proven to save families money on their electricity bills, and reduce the strain on the electrical grid for big cities. With enough interest, builders and realtors will start to take Sun Number scores into consideration, so new homes will have increased opportunities to utilize solar energy technology. If a home has a high Sun Number score, it doesn’t necessarily mean that the homeowner must install solar panels—only that the potential for energy saving exists. The benefits of solar panels go beyond saving money on electricity bills, though. Solar panels also increase the value of your home, especially the resale value. 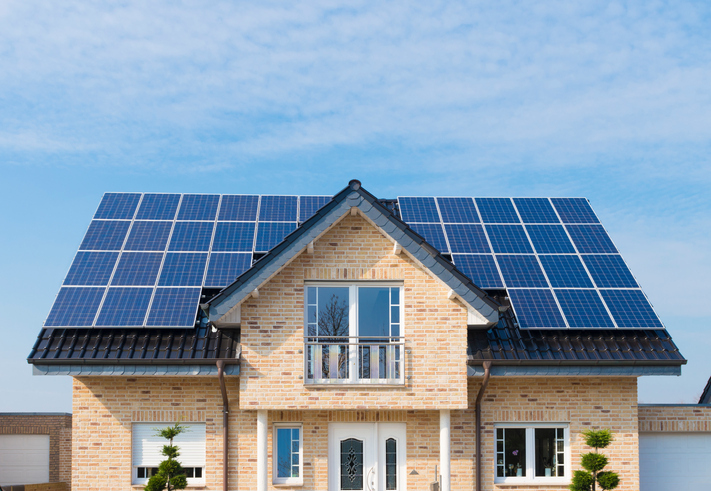 If a potential buyer were to see your home listed with a high Sun Number score and already have the solar panels installed, then it’s fair to say that you, the seller, could expect to get your asking price for the home, assuming everything else is in order. If your home is not listed on Zillow or is not on the market, but you’re still interested in finding out your Sun Number score, you have a few options. First, you should contact a reputable solar installer in your area. They will visit your home and give you an estimate for both the cost of installing solar panels and how much money you will save on your electricity bills. At that time they can answer any questions you have, as well as offer suggestions for improving the factors that would affect your solar panels. They could be as simple as trimming a large tree that would shade the solar panels or showing you the best direction to install the solar panels. If you’re not quite ready to call a solar contractor but are still interested in your Sun Number score, it will take a little detective work on your part. Research homes in your neighborhood that are listed on Zillow and look for their Sun Number score. Look for homes that are as similar to yours as possible—square footage, roof direction, the amount of tree shading, etc. While not exact, that will give you a good estimate of your Sun Number score.